Tips, eNews & More! - From your Oakdale Dental team. Find out how you can prevent tooth decay, gum disease and dental health problems. Find the recipe to make a delicious meal for you and your family. September 2018: Tips, eNews & More! September is a month of transition, and it's not just the weather that's changing. Many families have kids going back to school, and a change in their routine can be more demanding on you. Added stress may have you looking for ways to save time, but try to take a moment to relax and focus on yourself. Studies have shown that stress and oral health are closely related, but small lifestyle changes are easy to implement. A healthy breakfast boosts performance by improving your concentration and overall health. Take some time to brush and floss before setting out on your day, and the results will assist you in maintaining a happy and healthy smile. Is it time for a cleaning or to have unfinished dental work completed? If your dental benefits are based on the calendar year, your maximums may not roll over into the new year. Our calendar fills up quickly this time of year, so we encourage you to book an appointment today before the new year. When you enjoy ice cream do you fear the sharp pain that may accompany the chocolate flavour? 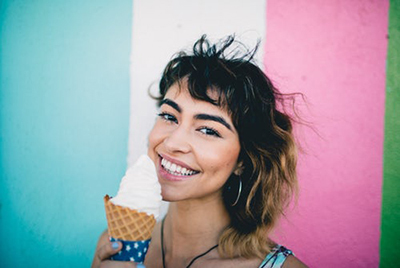 Ice cream, cold or hot drinks and foods are luxuries that some people can't simply enjoy if their teeth are sensitive to temperature. Mornings can be rough. With little time on hands, a lot needs to be done and quite often, it is breakfast that gets skipped. 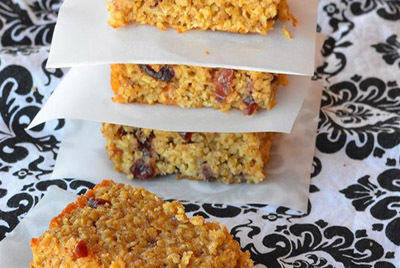 Avoid skipping breakfast by making these oatmeal breakfast bars the night before. The next morning, just grab and go!